* Lookup all the words that start with or end with a specific letter. 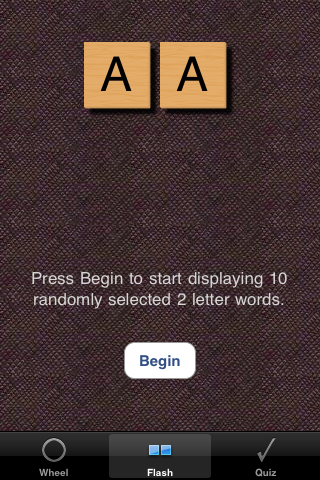 * See flashcards the show animated two letter words. Great for anytime you are sitting on the bus, or just have a few free minutes. 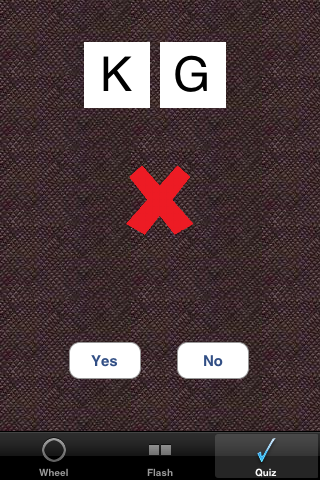 * Quiz yourself on the valid two letter words. 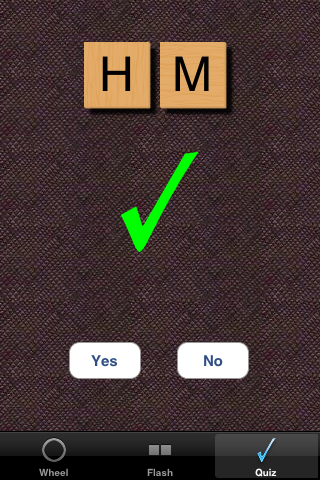 The quiz displays words and then you indicate if you think the word is valid or not. 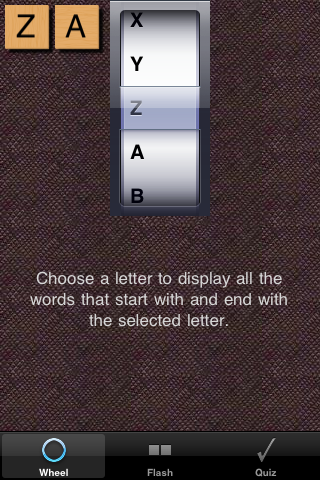 ZA makes it easy to study the key two letter words that will improve your game.